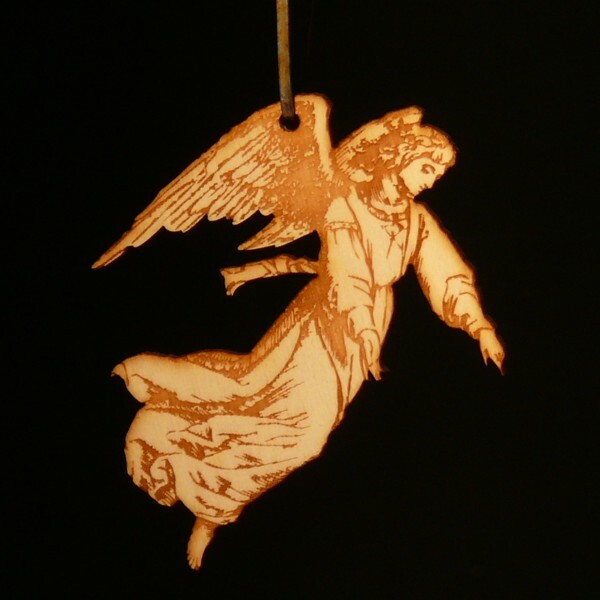 A hanging ornament featuring an angel, based on a Victorian engraving. Engraved on poplar plywood. 10cm head to toe.